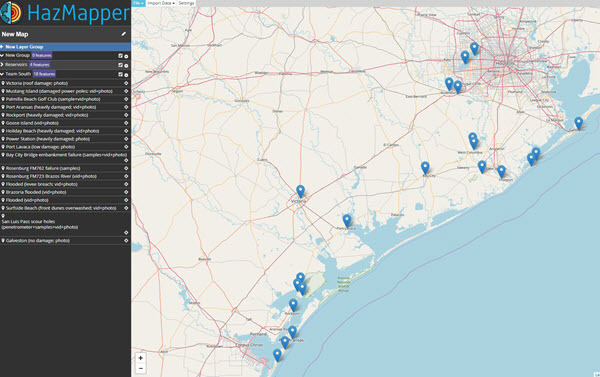 Even as southeast Texas was still feeling the effects of Hurricane Harvey in late August, several ASCE members began making plans to gather data from the disaster that will make rebuilding more resilient. 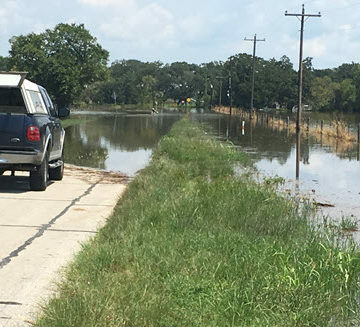 A Geotechnical Extreme Events Reconnaissance Association team of professors from around the country – five ASCE members among them – traveled along the Texas Gulf Coast in early September, collecting information from the damage they witnessed. 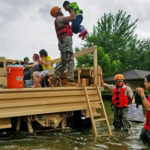 “The main goal of our effort was to learn from this disaster and utilize this knowledge to deal with similar unforeseeable events in the future,” said Iman Shafii, S.M.ASCE, a Ph.D. candidate at Texas A&M University studying under ASCE Technical Region Director and Distinguished Member Jean-Louis Briaud. 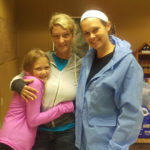 “The teams worked collaboratively with federal, state, and local organizations in Texas. Documented damage includes coastal erosion on barrier islands, including dune-toe erosion and overwash, scour at bridge piles crossing the Colorado River and the San Luis Pass, damage to coastal structures, significant sediment deposits from flooding, river bank and sheet pile wall failures, scour in front of a boulder wall, and undermining of a beach access road, among others. 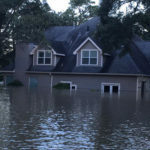 “The investigators also visited levees in the region of Freeport and Lake Jackson which were heavily impacted by the flood waters, but performed successfully. 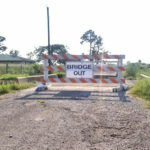 A bridge failure occurred in Rosenberg. At the time of the team’s visit, the bridge was almost fully restored. Galveston Island experienced little geotechnical impact, mostly associated to erosion on the West end of the island, and at San Luis Pass. In addition to Shafii, the team included ASCE members Nina Stark (GEER team leader), Ph.D., Aff.M.ASCE, Nadarajah Ravichandran, Ph.D., M.ASCE, Stephanie Smallegan, Ph.D., EIT, A.M.ASCE, and Patrick Bassal, M.S., P.E., M.ASCE. Read the team’s report in full.